Nosler Reloading Forum • View topic - S&W Lock....overblown or not? Post subject: S&W Lock....overblown or not? I've done more work with my 329 in the last month than I've done with it since I bought it. I've had a couple other S&Ws with the lock that worked just fine...but they were heavy stainless guns that mostly shot .38s. What's got me wondering is the 329 seems to be at the root of the rumors about the locks inadvertently engaging during recoil- since this is a bear gun...that's just unacceptable. I found a kit that will replace it, but wonder if it's really that much of a real issue. I did see some chatter about legal liability when you remove the lock, but i genuinely doubt grizzly bears will sue in court. If the lock issue isn't overblown...the legal part certainly is. Post subject: Re: S&W Lock....overblown or not? Since I put less than 30 rounds through my Model 57 in 3 years, on a single trip to the range, and had no issues, I cannot say. I did have for sale for a bit, and some of the guys asking were pointedly refusing to buy once they found it had the lock, but would give no reason other than they heard the earlier ones were better. Not one of them had fired one with a lock. Did sell the revolver this morning to a gent that did know it had the lock and did not mind. I have the 642PD, no issues, a lot of rounds through it, and a 629, literally thousands of rounds through it. 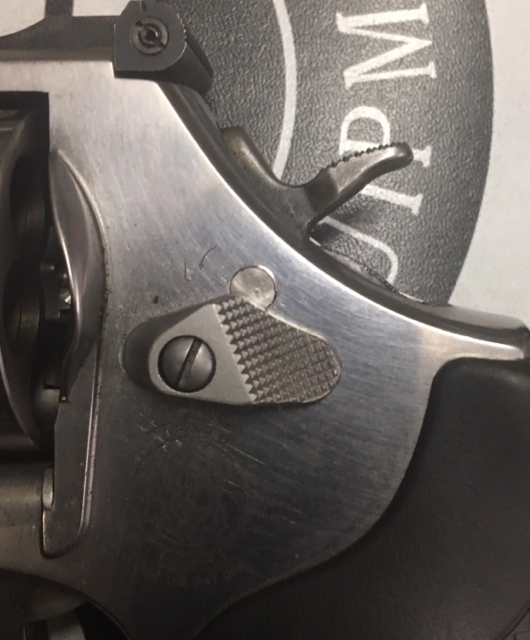 The only thing I’ve seen on the S&W, if you short stroke the trigger, it will index the tumbler, but not fire. Nothing to do with the lock. Both are about 12 years old. That's the direction I'm leaning, I did find a source for plug kits to fill the hole. I hate the S&W lock about as much as I hate the safety on newer Marlins. They're pointless and run contrary to the manual of arms that's been around for those designs since the 19th century. In fact, they're contrary to their purpose- using either could very well be more dangerous by giving a false sense of security. On previous guns, I simply ignored it- but there's enough chatter about them locking up 329s with hot loads that ditching it is probably the prudent thing to do. The one in my 329 was a hide density plastic plug. It didn’t look too bad. I’ve put a bunch of those plugs in and it’s simple and doesn’t look any worse than the lock did. Do you have a source for the plastic plugs? I found a guy making them in SS and Ti...but the prices match. A $5 plastic plug would work as well as $50 Ti unit! If I remember right the lactic plug was still $35. This is the link I saved regarding them. It’s been a while but wouldn’t hurt to email him. "The PLUG". They come in Three Sizes - "J - Frame", "K/L/N - Frames" and the "X - Frame". **Cost is $35 Dollars with PayPal (or a Check) for the First one, Second one is $30.00, Third is half price $15.00, fourth is $30 and the fifth is half price again, and so on. **Your Plug with PayPal (or Check) will have Insurance and Tracking along with being shipped by Priority Mail. Reason - PayPal Says I have to, to be covered for lost. Plus I am having a lost rate of four to five units a month - that I remake and ship at my cost to keep everyone happy. The order will ship within two to four working day weeks of order, I have been flooded a few time that it took 5+ weeks. Most time I check my e-mail every two or three days, so don't get upset if I don't answer right fast. If I'm on the computer a lot that is less plugs being made. If you have problems with the installment E-Mail me at the above Address. 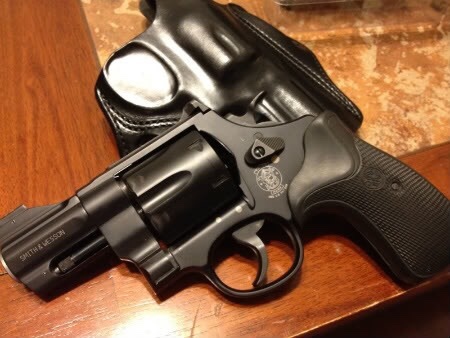 I bought a 442 a few years ago for concealed carry. I shot it quite a bit with the lock, but after seeing stuff on the internet about it I started getting cold feet. I bought the plug and have been happy ever since. Plus those locks really make a nice revolver look terrible. Had a .45 ACP revolver with the lock go belly up the first time I shot it with standard ball loads. Sent it back to S&W for repair and they fixed it but I could never bring myself to trust that gun again. Lost it in the bankruptcy so I’ll scour around for something that’s pre lock or plan on buying the kit to remove the lock and fill the hole. Had a J Frame with the lock that never gave me an issue and I trusted it. Didn’t keep it long though and it went down the road.